This sophisticated 2-story home offers over 3,000 sq. ft. of perfectly planned interior spaces including open living with a shiplap fireplace and reclaimed-beam ceiling, custom painted kitchen, oversized pantry, breakfast nook, formal dining, paneled loft space, office, mudroom, custom built-ins, spa-inspired master suite with laundry room pass-through, and elevated finishes throughout. 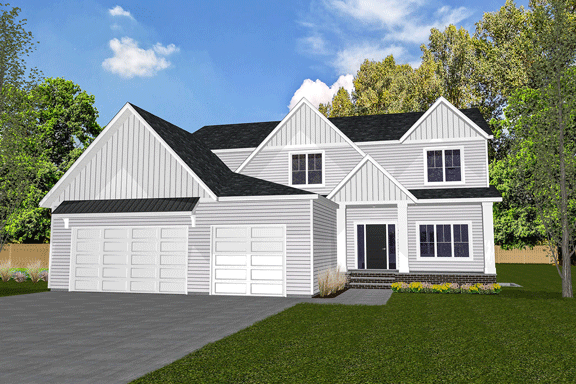 The heated garage, unfinished lower level and front porch offer plenty of flex space. Built by generations for generations!